B-Safe Corner Cushion | Grey | Protect your little one from danger in the household. Protect your little one from danger with this corner cushion that prevents your little ones from sharp corners. 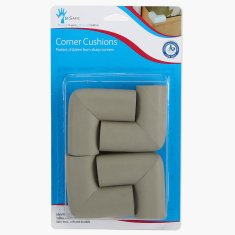 The foam is made of soft material to protect your child from hurting themselves. It is easy to use and can be installed throughout the room.